Presenting research at a professional conference is a critical component of the IRIS Undergraduate Internship Program. Such presentations provide interns with closure to the research process, a context for their research amongst other ongoing research, an opportunity to interact with other students and researchers about their work, an exposure to the fullness of Earth science research as a viable career option, and numerous networking opportunities with internship alumni and potential graduate advisors. 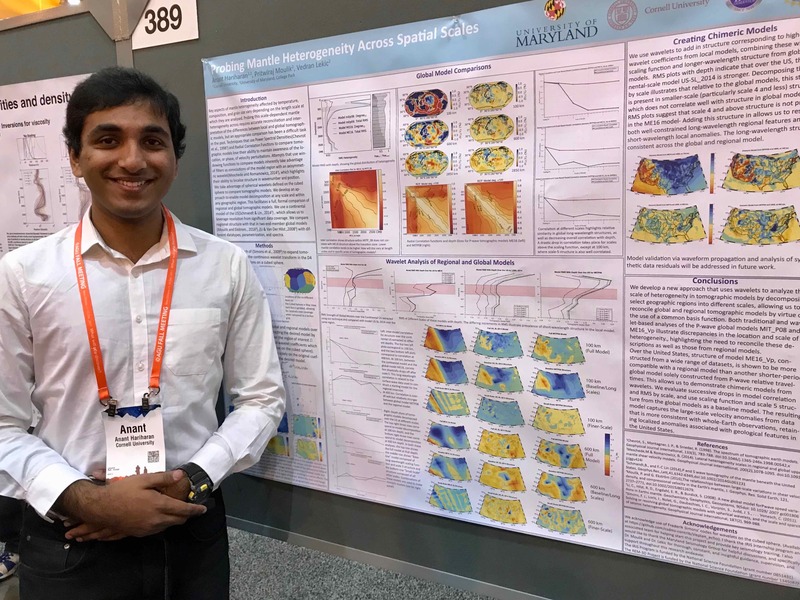 This year, 17 of the 19 IRIS Undergraduate Interns will be presenting their work at the 2018 Fall Meeting of the American Geophysical Union. If you will be there, please take a few moments to check out their work and talk with them about their experiences! A list of their presentations can be downloaded, or the table below links to the Fall Meeting schedule so you can add their scissions to your meeting calendar.